A Tribe Called Quest is one of the most influential and most lauded acts in Hip Hop EVER. After the Jungle Brothers in 1988 and De La Soul in 1989, A Tribe Called Quest was the next Native Tongues act to blow up and leave their inextinguishable mark on music in general and Hip Hop in particular. Being dubbed alternative / jazz rap, ATCQ and the rest of the Native Tongues clique quickly carved out their own niche in Hip Hop, and they would continue to be a breath of fresh air and a bastion of creativity and innovativeness in a Hip Hop world that would get more and more dominated with mindless cliches by gun-toting gangsta poseurs. 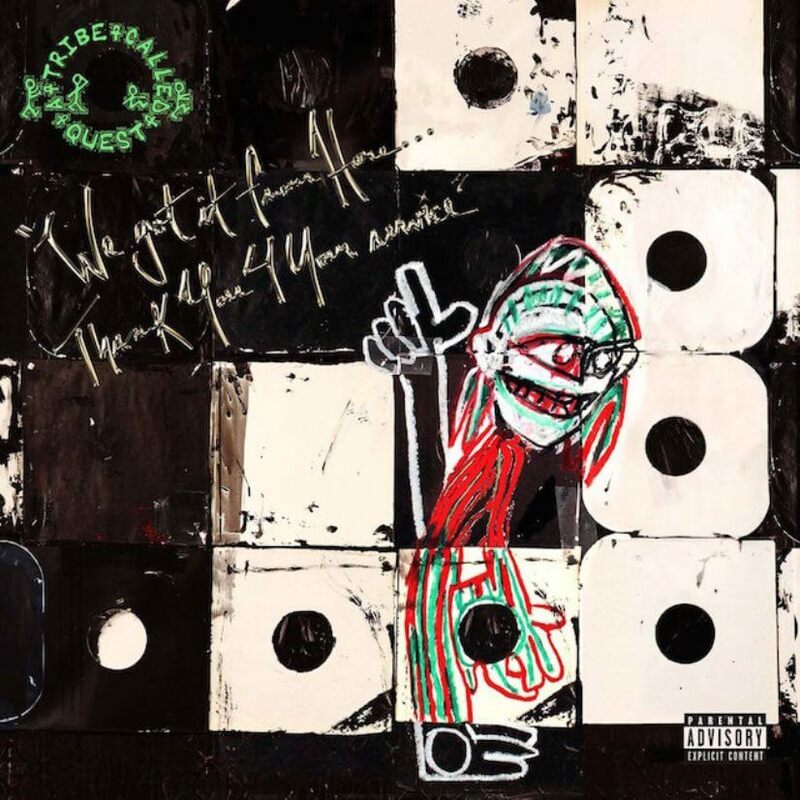 From their debut People’s Instinctive Travels And The Paths Of Rhythm in 1990 to their surprising (released after Phife Dawg’s untimely death) sixth and last album We Got It from Here… Thank You 4 Your Service in 2016, ATCQ’s legacy is classic and they will forever be considered part of Hip Hop’s elite. For this list, we have ranked Tribe’s albums. Agree? Disagree? Disqus! 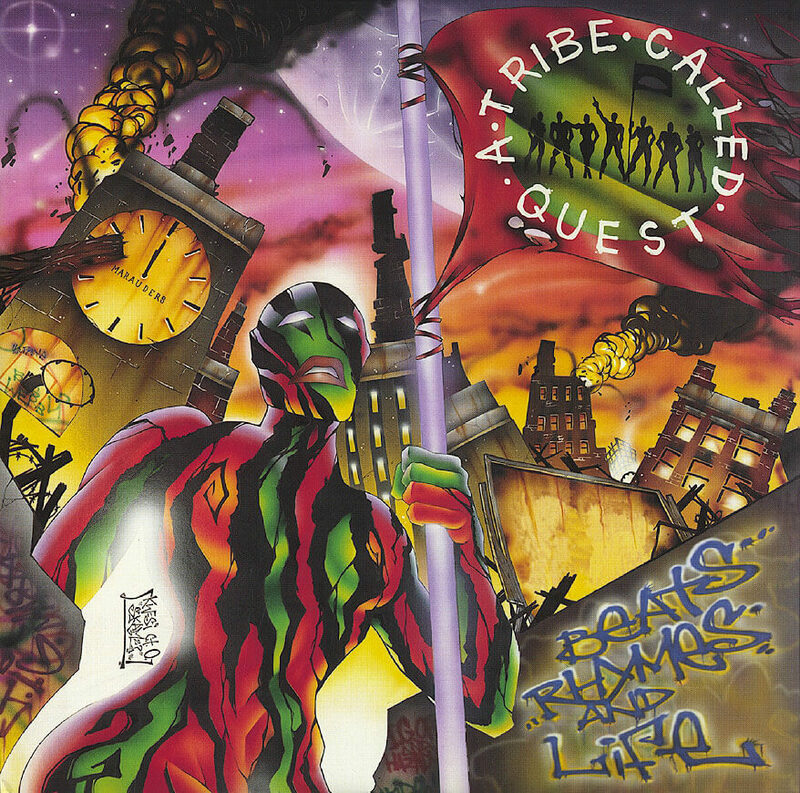 Like A Tribe Called Quest‘s fourth effort Beats, Rhymes & Life, this fifth Tribe album is kind of underappreciated. 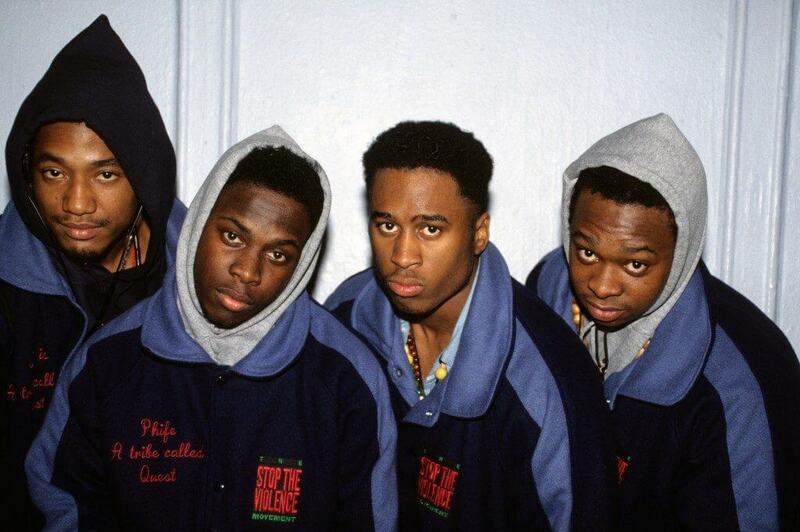 After their classic debut and super classic second and third album, ATCQ returned with Beats, Rhymes & Life. A bit darker sounding than their earlier efforts, it is an excellent album by all means. 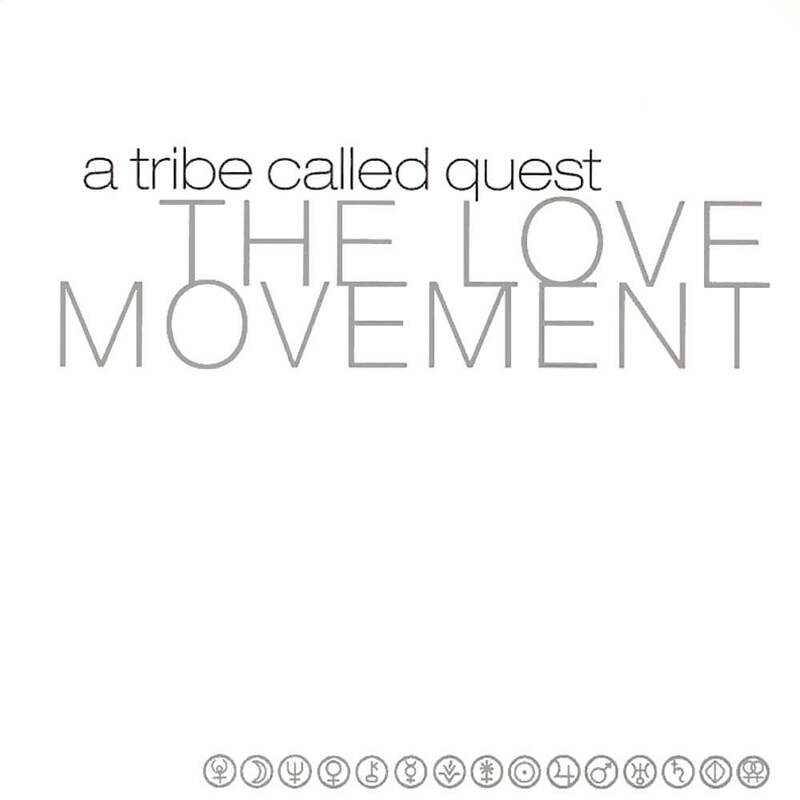 Energized by a one-off performance on The Tonight Show Starring Jimmy Fallon on November 13, 2015, the ATCQ group members decided to record a new album in secrecy – their first since 1998’s The Love Movement. Despite Phife’s untimely death, the album was completed, with Phife’s recorded bars flawlessly integrated into what turned out to be a near-perfect final album. The album features all four of the group’s members (Jarobi makes a comeback and even spits some bars!) plus a host of guests — André 3000, Kendrick Lamar, Elton John, Jack White, Anderson .Paak, Talib Kweli, and Consequence and Busta Rhymes, two longtime Tribe collaborators. 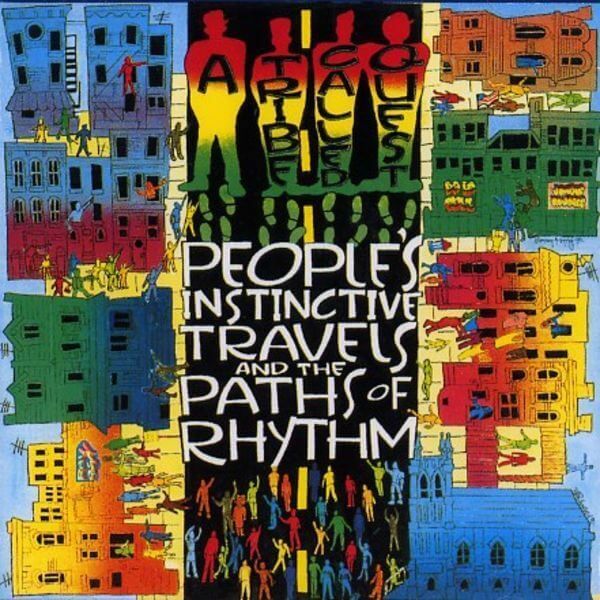 The third part of the Native Tongues triple classic album introduction to the world (the first two being the Jungle Brothers‘ Straight Out The Jungle and De La Soul‘s 3 Feet High And Rising) – People’s Instinctive Travels And The Paths Of Rhythm introduces us to A Tribe Called Quest. People’s… is a musical masterpiece. 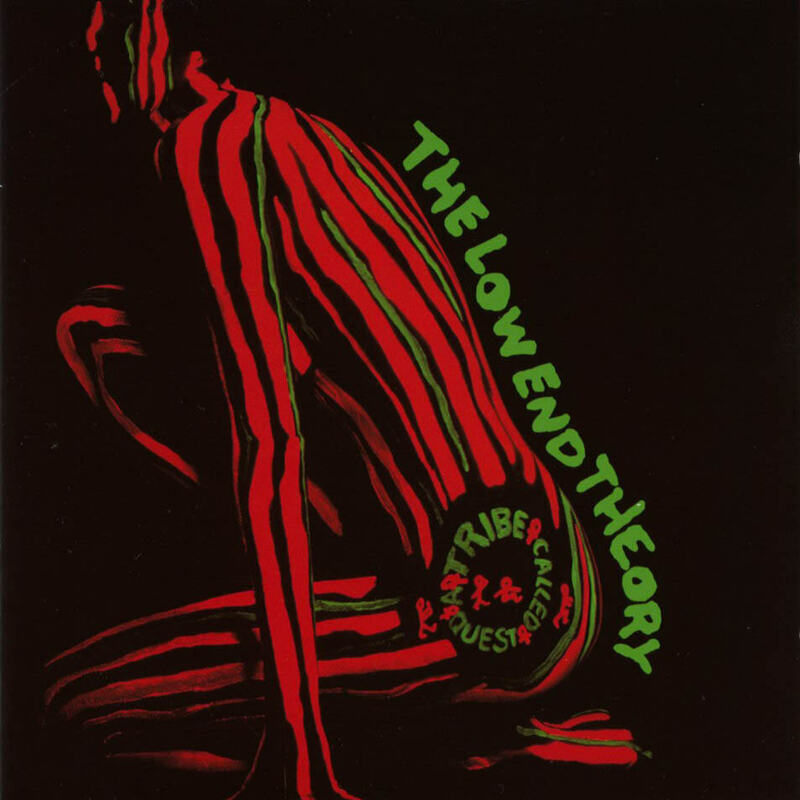 An innovative fusion of hard beats and jazzy samples, combined with fun, clever and positive lyrics – mainly from Q-Tip (Phife was still finding his voice here and his lyrical skills would improve significantly on Tribe’s follow up The Low End Theory). “I Left My Wallet In El Segundo”, “Can I Kick It”, the cheeky ode to female beauty “Bonita Applebum”, “Push It Along”, “Luck Of Lucien” – the album is filled with timeless joints. Almost a toss-up for the number one spot on this list, that is how good this album is. Faced with the impossible task of following up on the flawless masterpiece that is The Low End Theory, Tribe delivered an album that is every bit as awesome as its predecessor. There can be no greater praise. 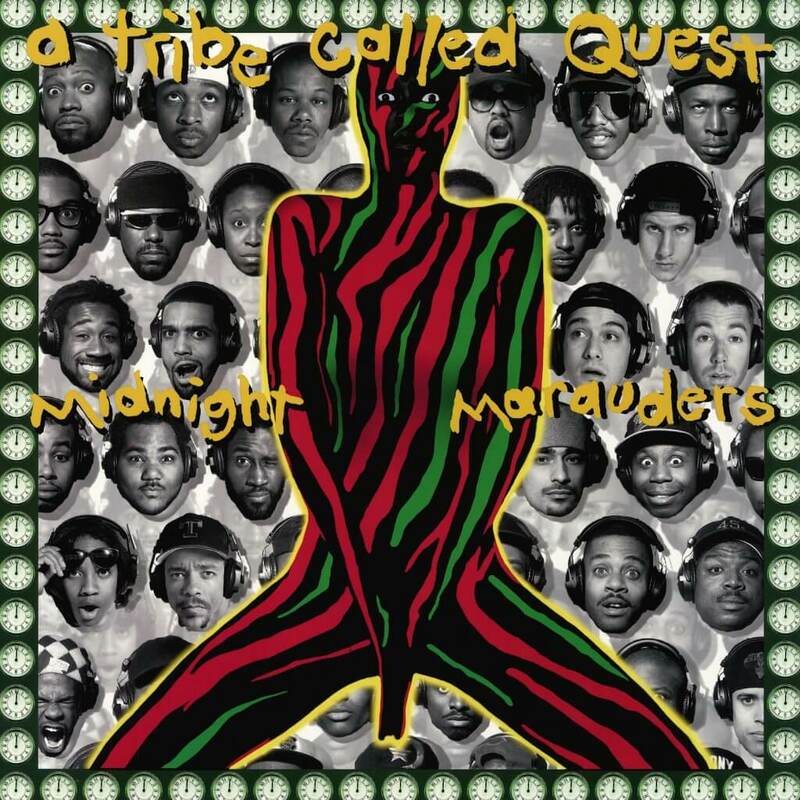 Midnight Marauders sounds as fresh today as it did on the day it was released: the mark of a true classic. 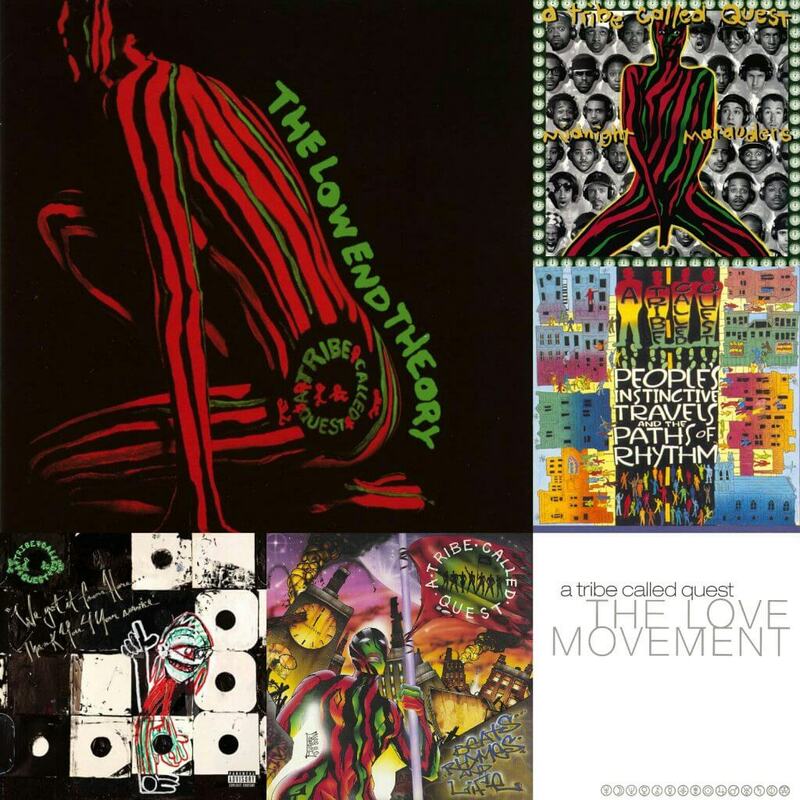 The three singles, “Award Tour”, “Electric Relaxation” and “Oh My God” may be the best-known joints on the album, but the rest is just as good – there are no weaker tracks on Midnight Marauders, not a single one. An incredible achievement, especially knowing they did the same thing on their preceding album, making it two perfect albums in a row. PERFECTION. The Low End Theory is the definitive statement about what creativity, innovation, artistry, fun and raw talent can produce. Building on the quality work of their debut, Tribe perfected the fusion of jazzy influences and bass heavy Hip Hop beats. The album is so coherent and consistent, it almost feels like one long song – in this case a good thing.